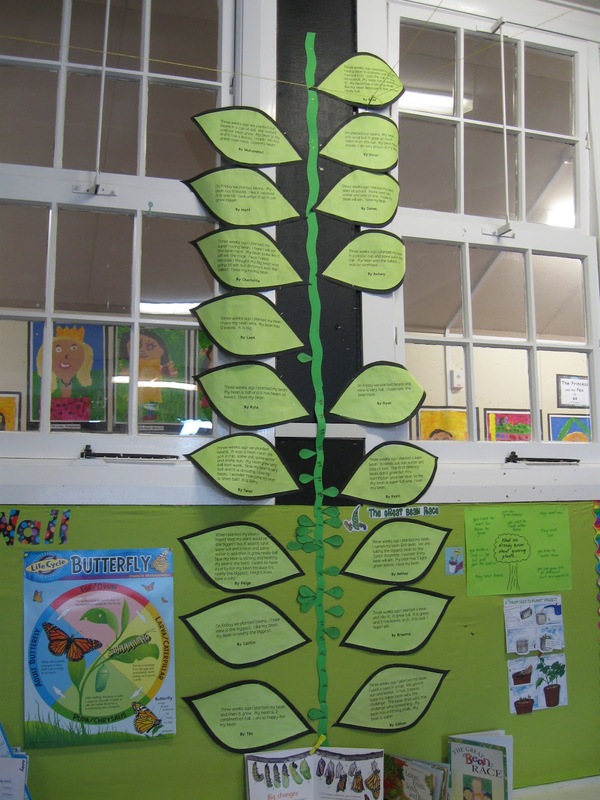 Our bean graph has grown some huge leaves! We wrote stories about our wonderful beans and published them on leaf shapes to add to our bean graph. Here are some of our amazing stories. We will be measuring our bean plants again on Monday, so check back to find out who in B4 is winning the Great Bean Race!